Anonymous hackers Expose HBGary plan to destroy WikiLeaks ! Data released as part of a hacking attack by the Anonymous group has shown what appears to be a corporate plan to destroy WikiLeaks. Last week Aaron Barr, head of security services firm HBGary Federal, claimed to have infiltrated the Anonymous hacking group leadership and was able to identify key players. Less than 24 hours later the group attacked HBGary Federal’s servers and posted their contents on file sharing sites. The document suggests a campaign of misinformation involving feeding false documents into WikiLeaks and then exposing them to discredit the site’s output. 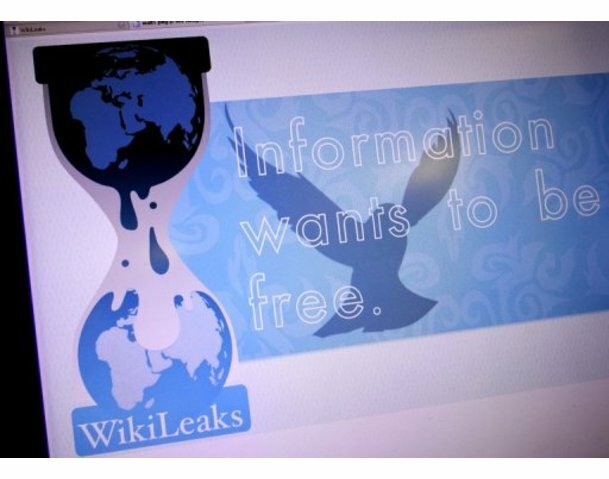 Hacking attacks against the central WikiLeaks document server in Sweden were also suggested. This media campaign may also have included attacks on journalists who are perceived as being pro-WikiLeaks. The presentation highlighted Glen Greenwald of Salon.com as a key target. “These are established professionals that have a liberal bent, but ultimately most of them if pushed will choose professional preservation over cause, such is the mentality of most business professionals,” it reads. HBGary Federal told the New York Times in a statement that some of the files stolen and displayed may have been falsified but now the two other companies mentioned in the presentation have issued statements on the matter. Palantir Technologies has also said it is severing ties with HBGary Federal. “The right to free speech and the right to privacy are critical to a flourishing democracy. From its inception, Palantir Technologies has supported these ideals and demonstrated a commitment to building software that protects privacy and civil liberties,” said co-founder Alex Carp. According to the emails the presentation was prepared for Hunton & Williams, which counts Bank of America among its clients. Hunton & Williams has reportedly declined to comment but yesterday Bank of America issued a statement denying involvement in the presentation. “We have not engaged in, nor do we have any plans to engage in, the practices discussed in this alleged presentation by HBGary,” said Lawrence DiRita, a Bank of America spokesman. In another set of documents HBGary Federal appears to have offered a plan for the US Chamber of Commerce to “mitigate effect of adversarial groups” like US Chamber Watch. The plan suggested a strategy to “discredit, confuse, shame, combat, infiltrate, fracture,” these groups. “The leaked e-mails appear to show that HBGary Federal was willing to propose questionable actions in an attempt to drum up business, but the chamber was not aware of these proposals until HBGary’s emails leaked,” Tom Collamore, a Chamber of Commerce spokesman, told the New York Times.